This is a compulsory study so everyone learns it and the Examiner will expect you to know it in detail. While the Exam could ask general questions about the procedure or evaluation, it could also ask specific questions, like, How did Milgram recruit his sample? or, What explanations did Milgram give for the high level of obedience in the study? or, What made this study ethical (or unethical)? You could also be asked to COMPARE this with another study from a different Approach (for example, Bandura's study of imitated aggression). This famous (or infamous) study was carried out by Stanley Milgram at Yale University in 1961. 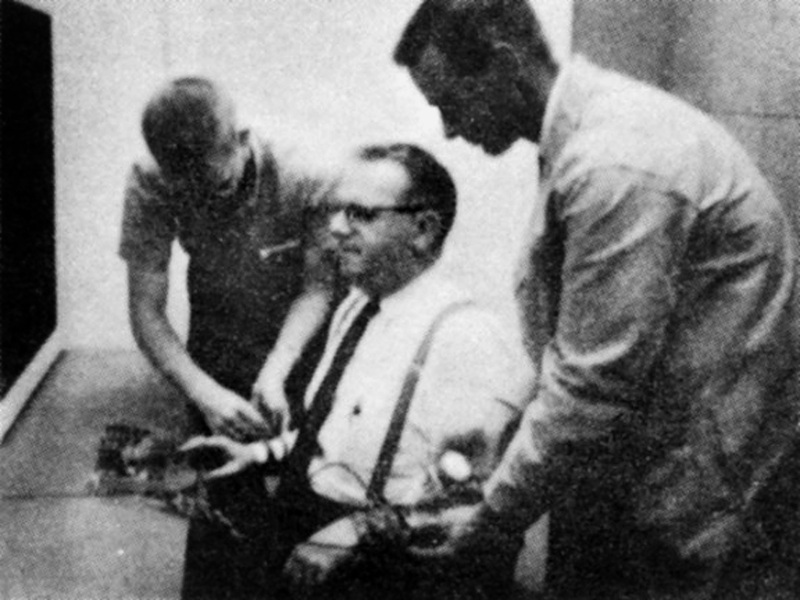 Milgram was inspired by the televised trial of the Nazi war criminal Adolf Eichmann. He wanted to test his hypothesis that ordinary people could be put in a social situation where they too would do the sort of things that Eichmann did – sending hundreds of thousands of Hungarian Jews to their deaths at Auschwitz. Milgram’s students, when introduced to his idea, thought that Americans would never make this sort of choice – they predicted only about 1% would obey. Milgram proved them wrong. It shows how scientific research proceeds, because Milgram went on to replicate his study many times, trying to see what changes to the situation would raise or lower obedience. Burger (2009) replicates parts of Milgram’s study to see if the conclusions still hold true today (SPOILERS: they do). Milgram set up a controlled environment to carry out his structured observation. He did this because he wanted to reduce obedience to its essential decision, with no interference from outsiders or relationship between the person obeying the orders and their victim. The task had to be something that went against the participant’s conscience, so that obeying would be a personal struggle. The participants had to be naïve about the situation, not aware that their obedience was being studied. Milgram recruited his naïve participants through a newspaper ad. This is a volunteer sample. They believed they were taking part in a memory experiment and would be paid $4 for their time. Milgram watched everything through a one-way mirror. The role of the “Experimenter” was taken by a stern biology teacher in a lab coat called “Mr Williams”. Milgram employed a confederate (or “stooge”) to help. “Mr Wallace”, a man in his 40s, pretended to be another participant. After a faked coin-toss, Mr Wallace became the “Learner” and the naïve participant became the “Teacher”. The Teacher watched Mr Wallace being strapped into an electric chair. The Teacher felt a 45V shock to “prove” that the electric chair was real. Participants were assured that, although the shocks were painful, they would "not cause lasting damage”. In the room next door was the shock generator, a machine with switches running from 15V to 450V and labels like “Slight Shock” or “Danger”. Mr Wallace learned a list of word-pairs. The Teacher’s job was to read words into the microphone followed by four options for the second word in the pair. Mr Wallace would indicate his answer by pressing a button. If the answer was wrong, the Experiment ordered the Teacher to press the switch delivering a 15V shock. The shock went up by 15V with each wrong answer. The Learner’s answers were pre-set and his cries of pain tape-recorded. The Learner got three-quarters of his answers wrong. At 300V the Learner banged on the wall and stopped answering. The Experimenter ordered the Learner to treat 'no answer' as a wrong answer, to deliver the shock and proceed with the next question. The Experimenter had a set of pre-scripted “prods” that were to be said if the Teacher questioned any of the orders. If all four prods had to be used, the observation would stop. It also stopped if the Learner got up and left or reached 450V. The experiment requires you to continue. You have no other choice but to continue. It is important for you to know the procedure of this study in detail – including why each of the features were used: why did the naïve participants receive a 45V shock? why was Mr Wallace kept in a separate room? why were the prods pre-scripted? and so on. To find out naïve participants would obey orders from an authority that went against their values; specifically, to see if they would deliver electric shocks to a confederate sufficiently powerful to kill someone. Also, to create baseline data to be compared with later Variations. This is a structured observation, so there is no IV. Milgram measured the highest shock level each participant would go to, treating 450V as “complete obedience” – with the later Variation studies, this score of obedience was treated as a DV. 40 participants, all men aged 20-50. They were recruited through volunteer sampling: Milgram posted newspaper ads and they were paid $4 for turning up to a "study of memory". The procedure is described in the section above. The participants were obedient up until 300V; this is the point where the Learner kicked the wall and stopped answering questions. Between 300V and 375V, 14 participants dropped out of the study (by exhausting all 4 “prods” with their questions and arguments). The remaining 26 (65%) carried on to 450V shock at the end. 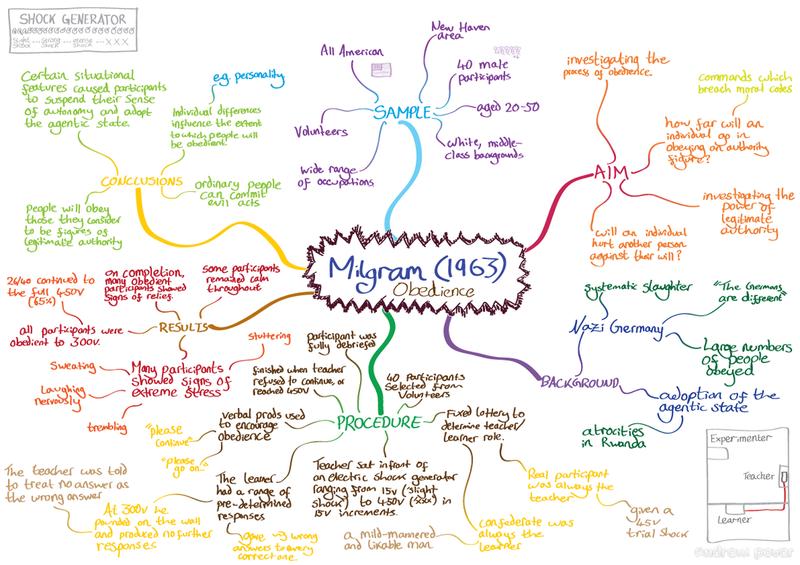 Milgram also collected qualitative data. He observed the participants sweating, trembling, stuttering and groaning. 14 showed nervous laughter. Milgram concludes you don't have to be a psychopath to obey immoral orders: ordinary people will do it in the right situation. The study seemed to have a worthy cause (memory) and was being done to further science. Mr Wallace seemed willing; he had volunteered (or so it seemed) and it was chance that made him the Learner (or so the participants believed). The participants had also volunteered and committed themselves; they were being paid and this carried a sense of obligation. The participants had been assured that the shocks were painful but not dangerous. This was a new situation for the participants and they didn’t know what was appropriate or not. Milgram went on to develop Agency Theory to explain the behaviour he observed. 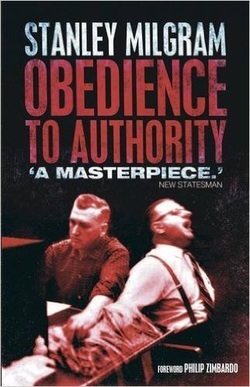 In 1974, Milgram published Obedience To Authority, a book describing his original study and 19 ‘Variations’. These Variations investigate other factors that influence obedience. Taken together, these Variations turn the research into a lab experiment, with the baseline (original) study as the Control Group and the Variations as the IV. The DV remains the level of obedience shown, measured by the maximum voltage participants would go to. Variation #5 is the “Empathy Variation”. Milgram changed the script so that Mr Wallace mentioned a heart condition at the start and at 150V he started complaining about chest pains. Compared to the baseline study, more participants dropped out at 150V, long before the Learner went silent at 300V. However, participants who continued after 150V seemed to feel they had “passed a point of no return” and continued all the way to 450V. Burger (2009) uses this variation as the basis for his Contemporary Study. Variation #8 used a sample of 40 women. Their obedience levels turned out to be 65%, the same as the men’s. In the original study, the Experimenter (Mr Williams) sits at a desk right behind the Teacher. In this Variation, the Experimenter gives the participants their instructions at the start, then leaves the Teacher alone in the room with the shock generator and a telephone. If the Teachers have questions or doubts, they must phone the Experimenter. The “prods” are delivered over the telephone. There was a significant drop in obedience, down to 9 (22.5%), and some participants gave lower shocks than they were told to do (because they thought they were unobserved). Milgram concludes that the physical presence of an authority figure is important for obedience. The original study was carried out at Yale University, in rather grand surroundings. In this Variation, Milgram moves the study to a run-down office in the busy town of Bridgeport. There is nothing to make the participants link things to the University: Mr Williams claims to work for a private research firm. There was a drop in obedience to 19 (45.5%), but Milgram didn’t think this was big enough to be significant. Participants showed more doubts and asked more questions. One of them made notes as if they intended to make a complaint later and another one objected that the study was “heartless”. Milgram concludes that the setting is not as important for obedience as the status of the authority figure. The original study used Mr Williams as the Experimenter, who looked severe and wore a lab coat. In this Variation, Mr Williams explains the procedure to the participant but then is called away. Crucially, Mr Williams does not tell the Teachers to increase the shock by 15V with each incorrect answer. There is a second confederate present, who seems to be another participant, given the job of “writing down the times” of each test. With the Experimenter gone, this confederate suggests “a new way of doing the study,” taking the voltage up by 15V each time there’s a mistake. Only 20 participants did this Variation and only 4 (20%) obeyed by going to 450V. Milgram concludes that the status of the authority figure is important, but other features of the situation (the instructions, the shock generator) still create obedience. In Variation 13a, Milgram uses the 16 “rebel” participants from Variation #13. In other words, as soon as the participants in Variation #13 rebelled, Milgram moved into the procedure for #13a with them. From the participants' viewpoint, it seemed like the same study continuing, not a new one starting. The confederate suggests swapping places: now the confederate gives the shocks and the disobedient participant writes down the times. The participant is now a bystander, watching someone else deliver the shocks. All 16 participants protested. Five of them tried to unplug the shock generators or restrain the confederate physically. However, 11 (68.75%) allowed the confederate to go to 450V. When the original study was published in 1963, there was a backlash. Several newspapers condemned Yale University for treating participants so badly. 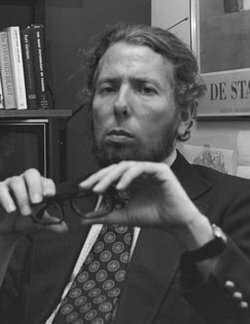 Despite the support of his professor (Gordon Allport), Milgram lost his job, a disappointment he never got over. 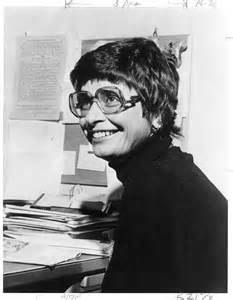 Child psychologist Diana Baumrind (1964) published a criticism of the ethics of Milgram’s study: she complained that Milgram had ignored the “wellbeing” of the participants, deceiving them and putting them through traumatic stress. After the end of the study, Milgram debriefed his participants (this is now standard procedure but Milgram was one of the first researchers to do this); he explained the truth to them, introduced them to Mr Wallace (alive and well) and checked that they were in a comfortable mental state. 40 participants were interviewed by a psychiatrist a year later and only 2 expressed lasting distress about their part in the study, but they were willing to do it again. A questionnaire was sent out to all the participants in all the Variations (see below) and only 1% expressed criticism of the way they had been treated by 84% said they were “glad” or “very glad” to have participated. The American Psychological Association (APA) cleared Milgram of any wrongdoing, but went on to publish the first “Ethical Guidelines” for researchers. These guidelines would make it impossible for Milgram to replicate his studies (however, he had already carried out his Variations by then). Burger (2009) is an example of how Milgram’s study could be replicated while staying within the APA Guidelines. Milgram died in 1984 after a series of heart attacks. Ironically, if the stress of the studies harmed anyone, it was Milgram himself!